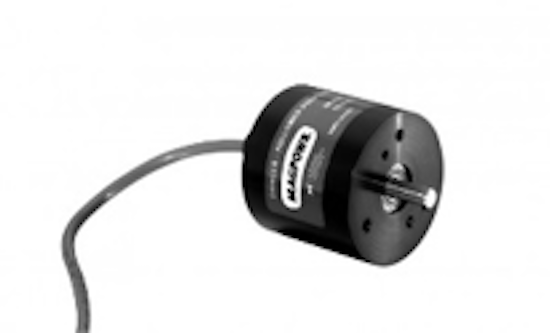 Power Amplifiers and Current to Pressure Transducers - Allied Automation, Inc.
Magpowr Amplifiers are designed to provide the extra current required for controlling magnetic particle brakes and the current-to-pressure transducer, is a compact, vibration-, shock-resistant, accurate, easy-to-read pressure gauge that monitors output pressure. Complete control is the goal of any operation utilizing brakes and clutches. 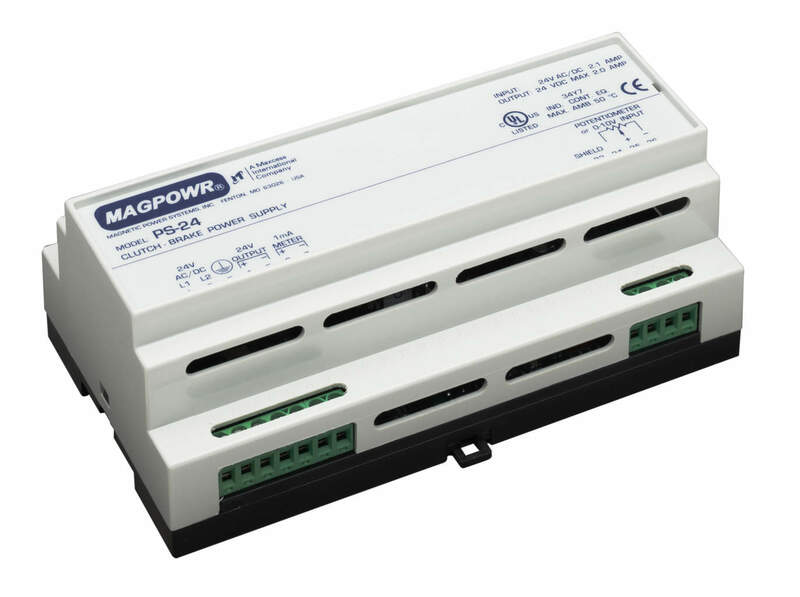 MAGPOWR’s PS-24 & PS-90 Power Supplies provide a small amount of reverse current circuitry as a standard feature to minimize the drag torque of a clutch/brake, allowing greater controllability in the lowest torque range. 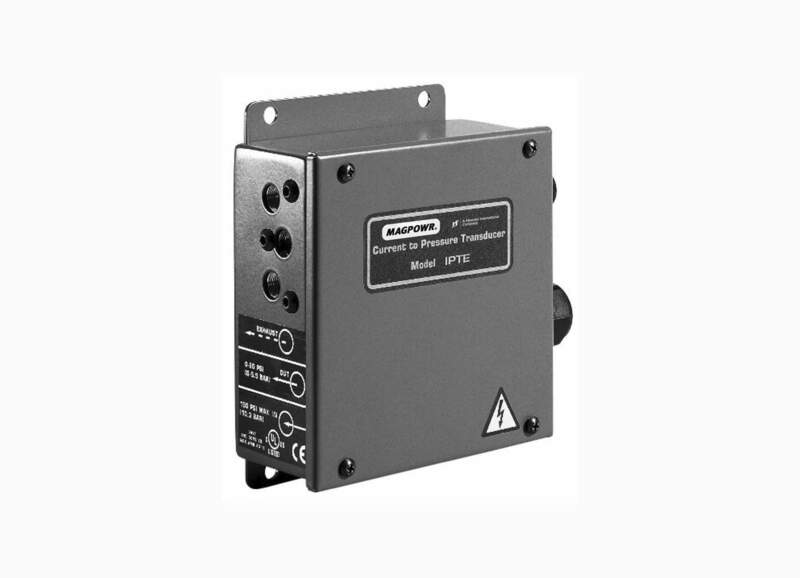 These power supply units control any size MAGPOWR clutch or brake with optimum resolution. 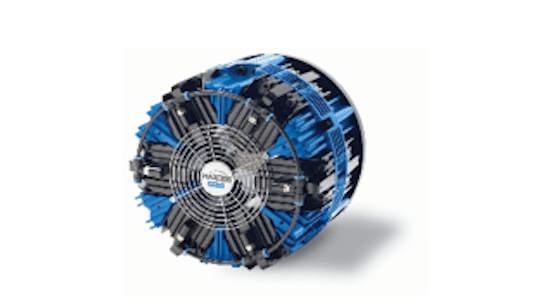 MAGPOWR’s current-regulated power supplies are used for the control of magnetic particle clutches and brakes in unwind, rewind, or intermediate tension control applications. 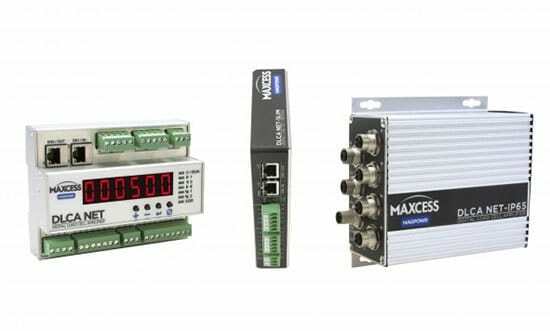 With selectable current ranges, these compact enclosures can be mounted inside the machine cabinet, allowing your operator to adjust torque through a remotely mounted potentiometer or with a 0 to 10 vdc control signal from MAGPOWR Open Loop and Closed Loop controllers, or any control device like a computer or PLC. 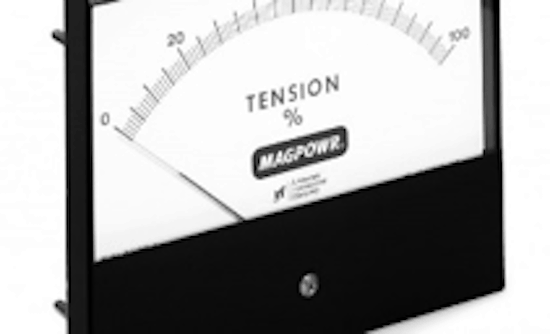 MAGPOWR’s PA-90 and PA-2 Power Amplifiers are designed to provide the extra current required for controlling magnetic particle brakes and clutches in any tension control application. 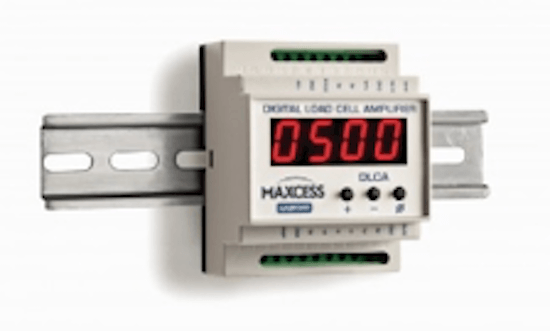 For use with DIGITRAC II, EZ-Trac, or VERSATEC, the PA-90 and PA-2 can be mounted inside the control's enclosure, and receives its control signals directly from the tension control. 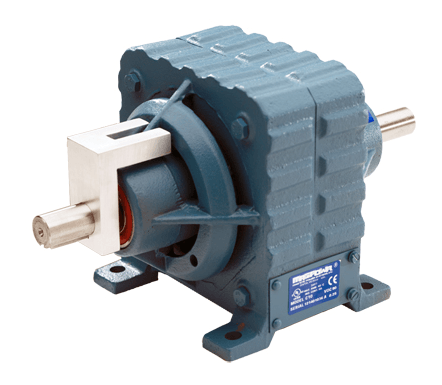 The PA-90 is used to control 90 VDC brakes and clutches only, while the PA-2 can be used to control either 24 or 90 VDC units. 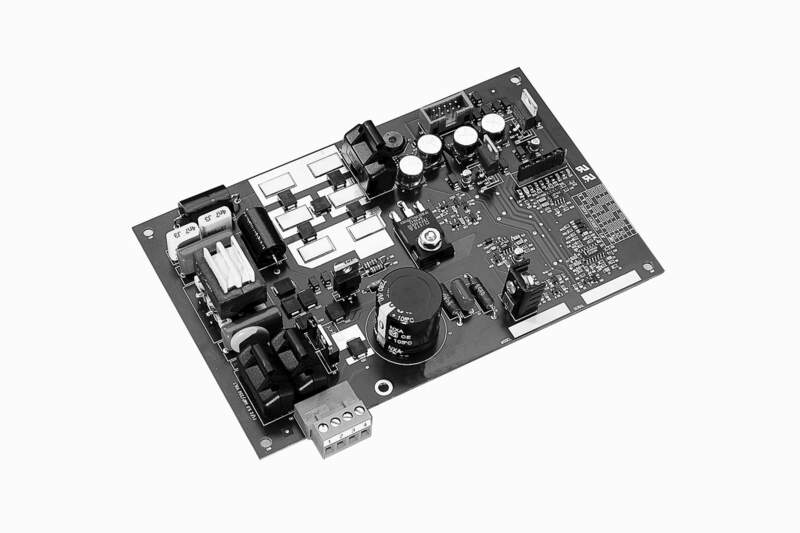 MAGPOWR’s power amplifiers also include reverse current circuitry as a standard feature, thus allowing greater controllability in the lowest torque range of the clutch or brake being operated. Space is always at a premium inside working machinery. 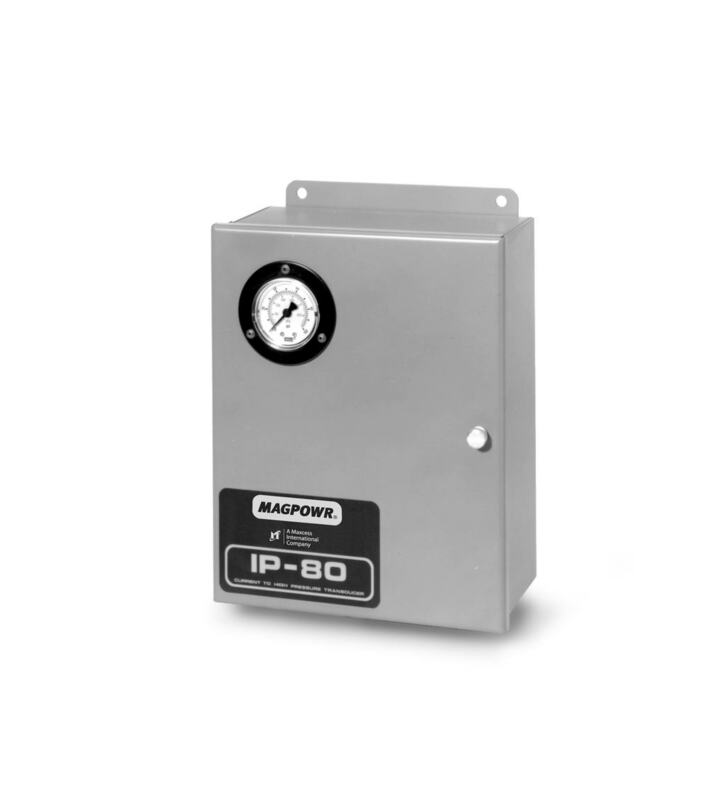 MAGPOWR knows this well, and therefore constructed its IPT Current or Voltage to Pressure Transducer as a single-manifold design to surface mount inside a machine enclosure. 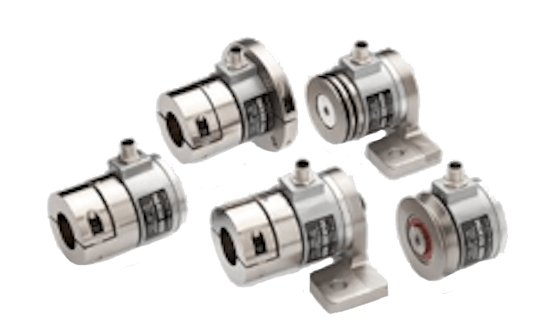 It is designed to be mounted in any orientation with no affect on performance and offers multiple mounting options. 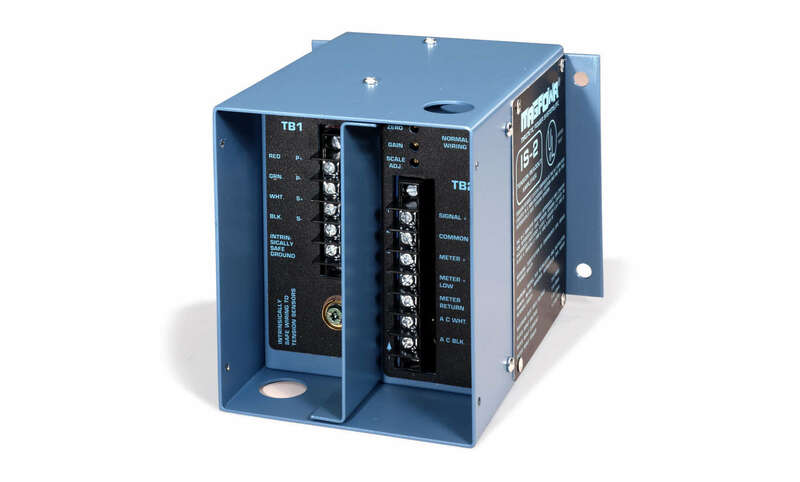 The IPT can be mounted on standoffs through four provided mounting holes, or on a DIN 35 rail using the provided mounting clips, or in a customer supplied DIN 35 Modular Circuit Housing. 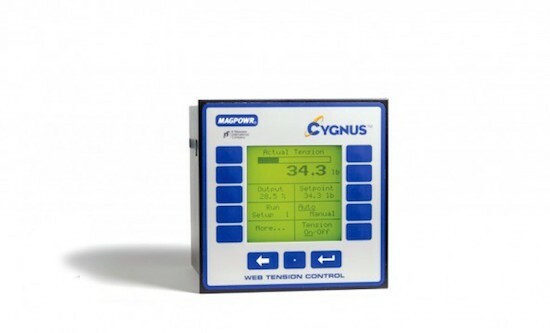 Perfect for control applications, the IPT is ready to use right out of the box, requiring no calibration and providing superior response, accuracy, and flow characteristics. 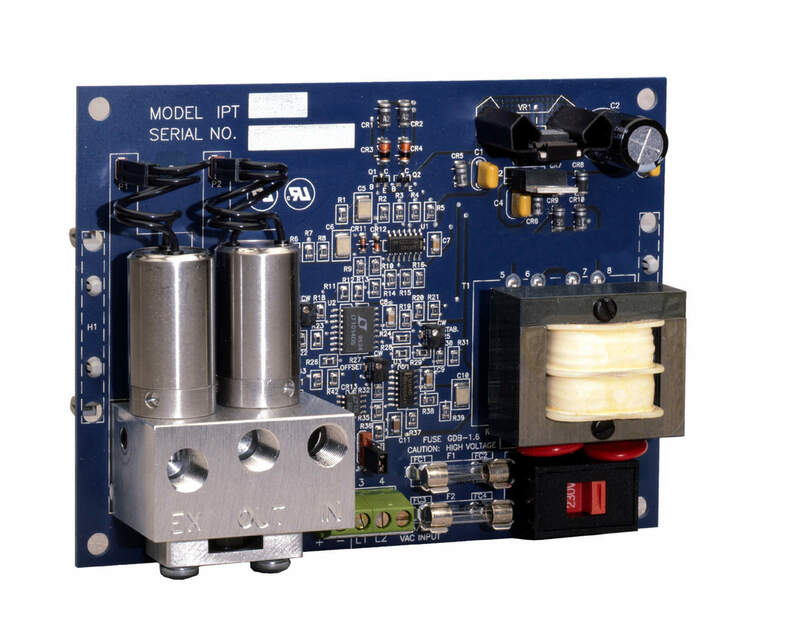 Versatile and easy to use, the IPT is an ultra-compact PC board level pressure controller that operates on 115/230 VAC and filtered dry shop air, and can accept either a current or voltage control input signal.